It is never too early to think about the holiday season, and Universal Studios Hollywood and Universal CityWalk are already prepping for this year’s festivities. Nightly glistening snowfall will set the scene at “Christmas in The Wizarding World of Harry Potter” from November 17th through January 6th. At Hogwarts Castle, a breathtaking light projection display awaits and in the nearby village of Hogsmeade guest will find festive themed décor in each shop window. Each night Hogwarts castle will be illuminated with colorful images and animations all set to a musical arrangement from the Harry Potter movies. During the day, the acappella Frog Choir comprised of Hogwarts students and giant frogs will sing some of your favorite holiday songs. “Christmas in The Wizarding World of Harry Potter” will have a variety of themed, specially designed Christmas décor including Hogwarts crest and house mascot ornaments, tree toppers, house pennant garland, Hogwarts Castle snow globes and more. Topping off the festive experience are new, delicious holiday treats including hot Butterbeer. 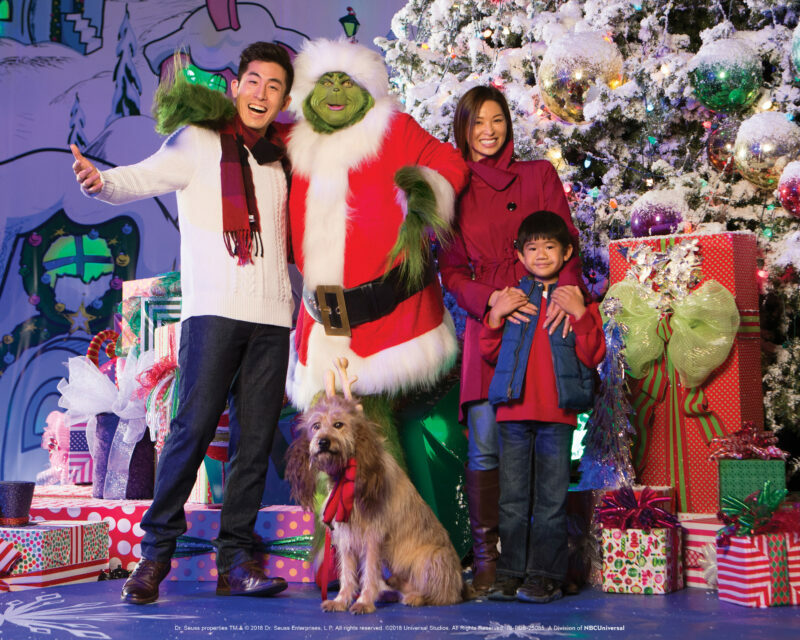 Universal Studios Hollywood will also welcome the return of “Grinchmas” featuring your favorite Whoville Who’s, The Grinch’s dog Max and The Grinch himself. A 60-foot tall “Grinchmas” tree will overlook the stage where The Who-liday Singers and Martha Who-vier and the Who Dolls will welcome the Christmas season with upbeat musical performances. “Grinchmas” will be open on weekends December 1-2, 8-9, and daily December 14 – 30. More Christmas magic awaits throughout the park with festive décor and whimsy including mischievous Minions spreading Christmas cheer to visitors. A 40-foot tall glittering Christmas tree on Universal City Walk will have 200,000 LED icicles perfectly choreographed to music with Santa Claus making daily appearances at 5 Towers. Free concert performances will also be available at 5 Towers. The holiday cheer throughout CityWalk will begin November 23rd and run through Christmas Day. 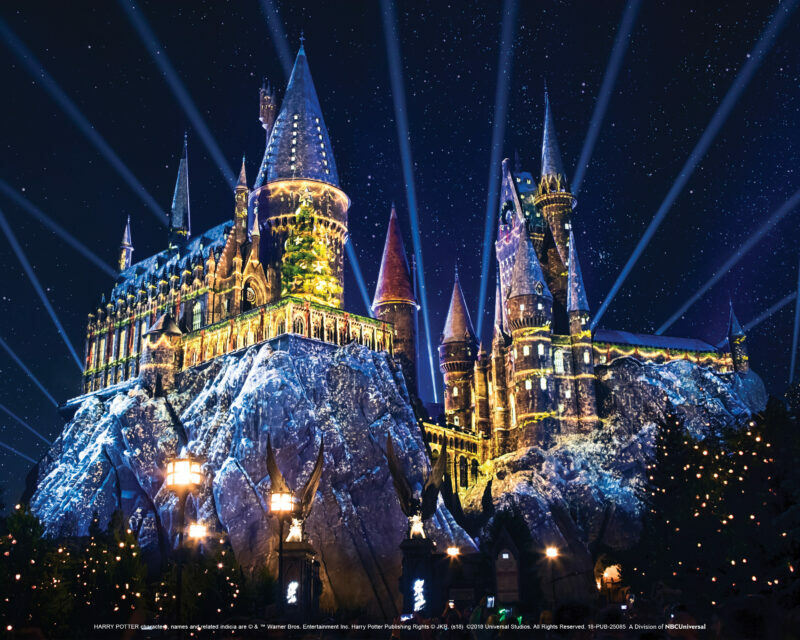 Don’t miss out on all the holiday magic this year at Universal Studios Hollywood.